Nigeria international Victor Moses has said that he is looking forward to the new Premier League season with Chelsea. The 27-year-old has been a key performer for the Blues at right wing-back over the past two campaigns but his role is expected to change under new Maurizio Sarri after having featured as a right-winger during pre-season. 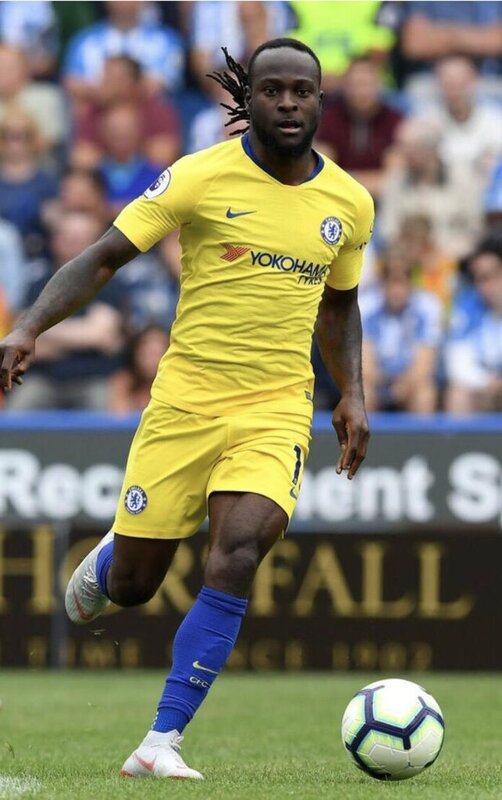 Moses was hugely successful with the defensive side of his game under ex-boss Antonio Conte but he can now expect a stiffer task on his hands with Sarri not handing him the right-back duties ahead of Cesar Azpilicueta. As a result, there has been plenty of talk of Moses making way during the summer but the Blues could keep him until January at the least after failing to recruit a new attacker before the transfer deadline. The FA Cup holders begun the summer transfer window in a very slow fashion and this largely resulted from the fact that they faced a delay in the appointment of Sarri. Thereafter, “the Blues have managed to bring some positivity among the supporters with Jorginho and Rob Green, “Kepa Arrizabalaga and Mateo Kovacic all heading to Stamford Bridge before the transfer deadline. The West London giants make the trip to Yorkshire to face Huddersfield Town in their opening Premier League game of the new campaign.